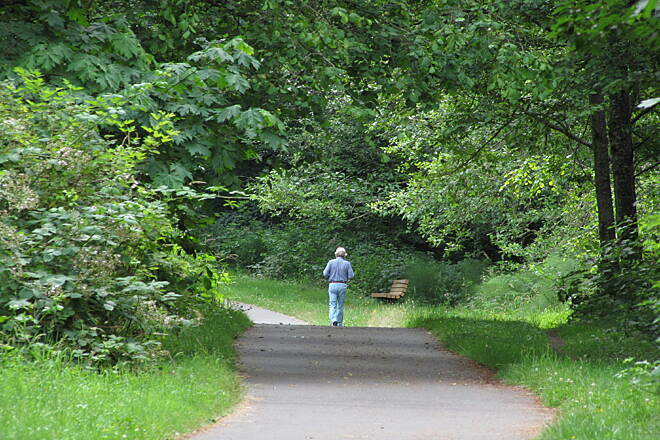 Time to turn around. 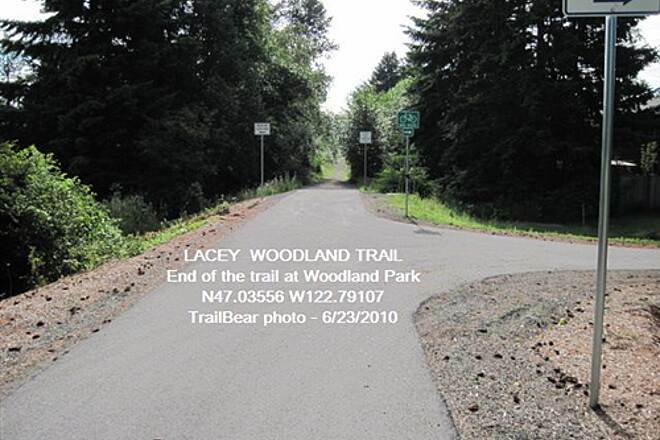 Trail is not paved from this point on. 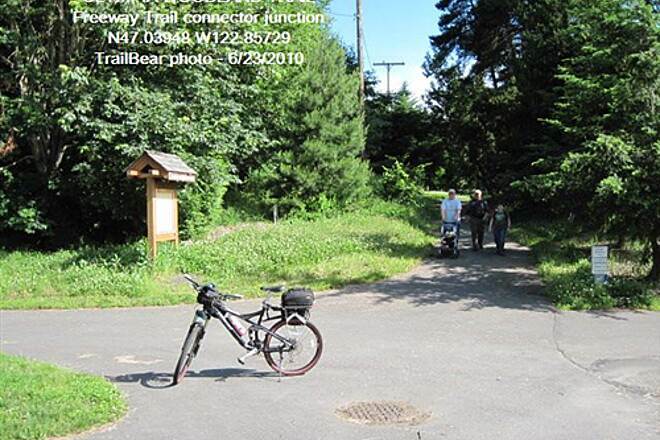 After a short gravel portion it reaches a stream and old rail bridge. 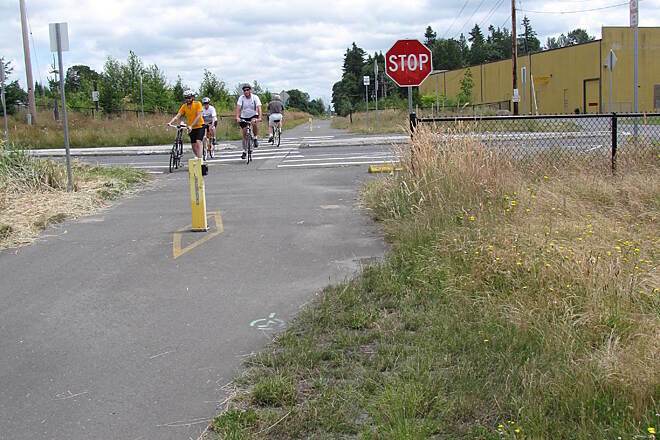 The remaining tracks are still in place up ahead. 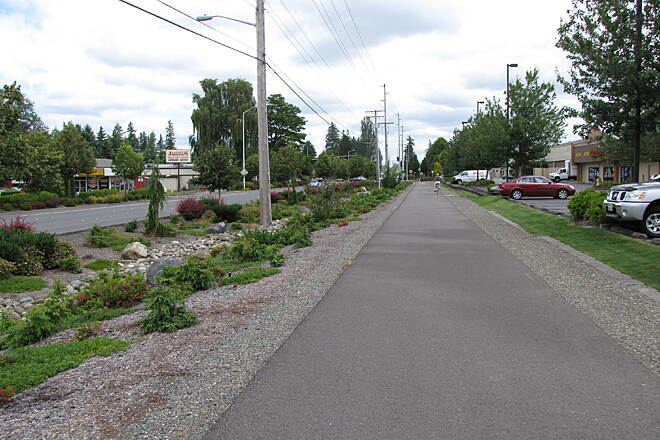 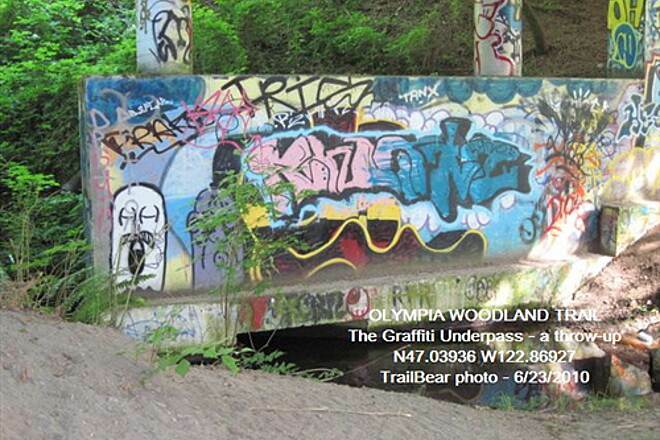 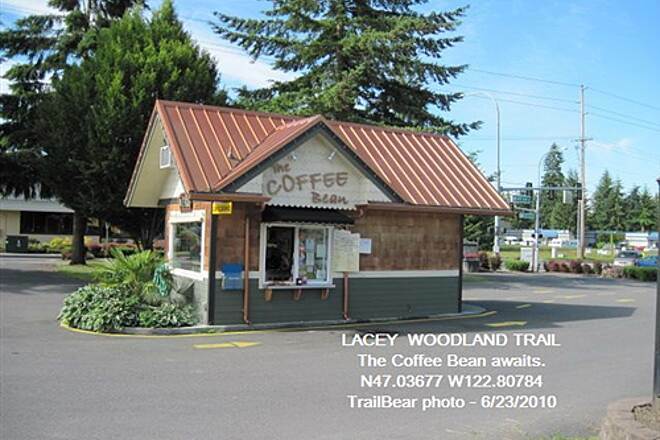 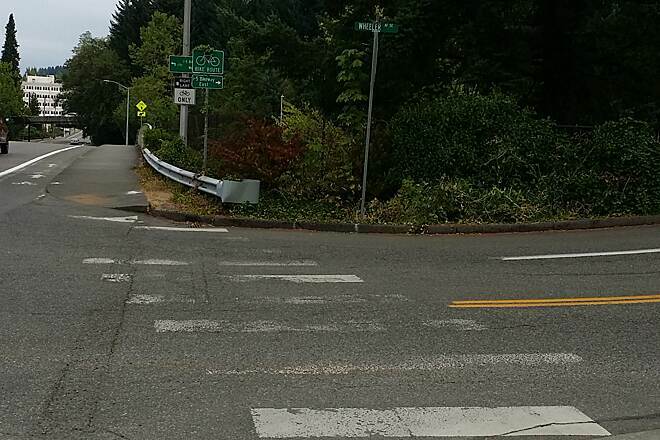 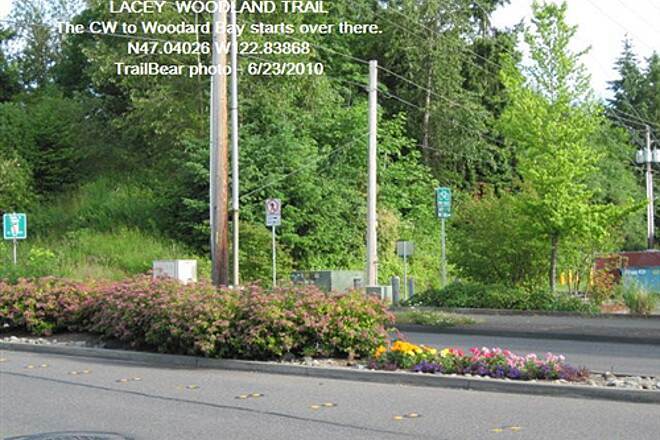 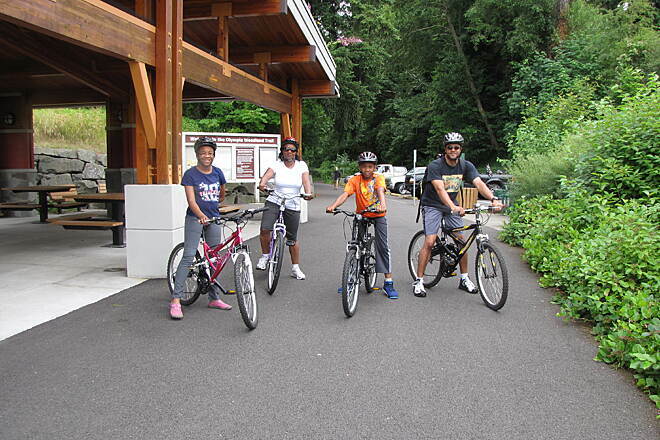 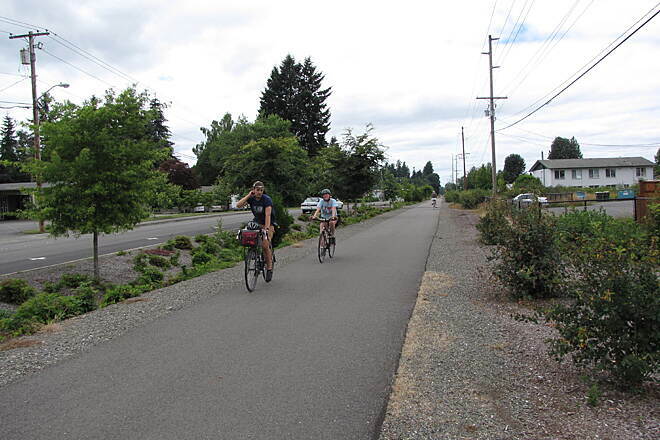 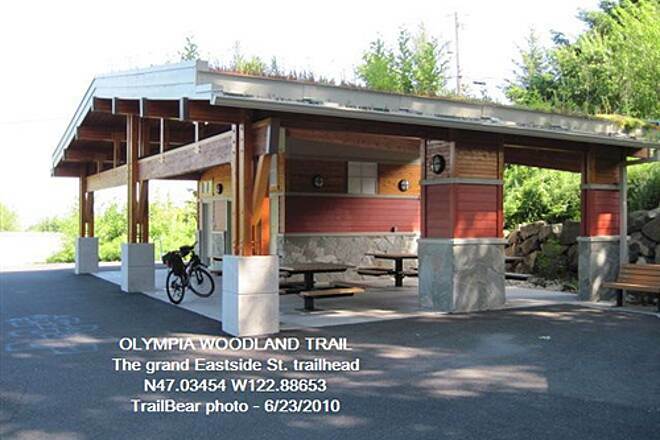 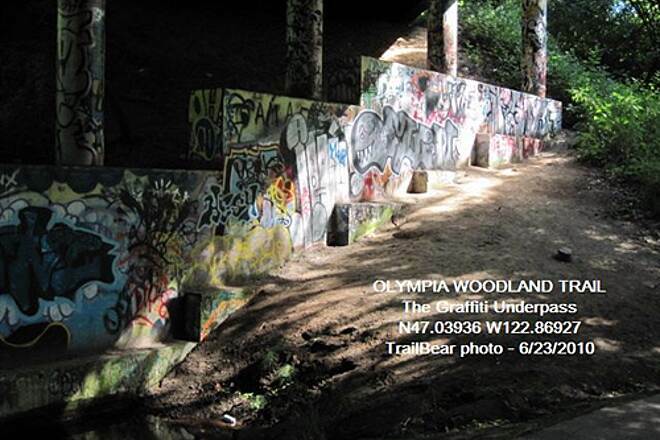 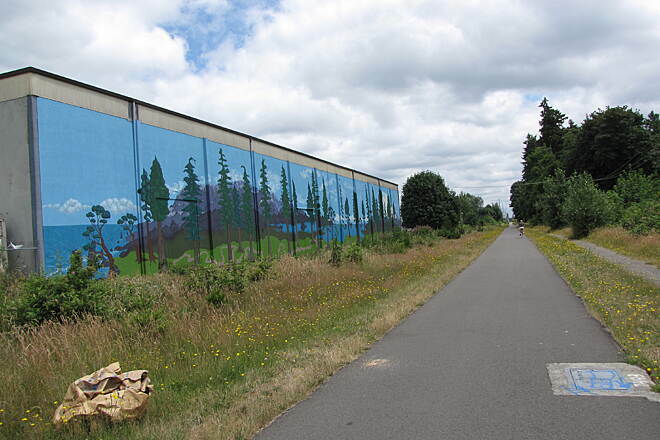 The very nice trailhead in Olympia. 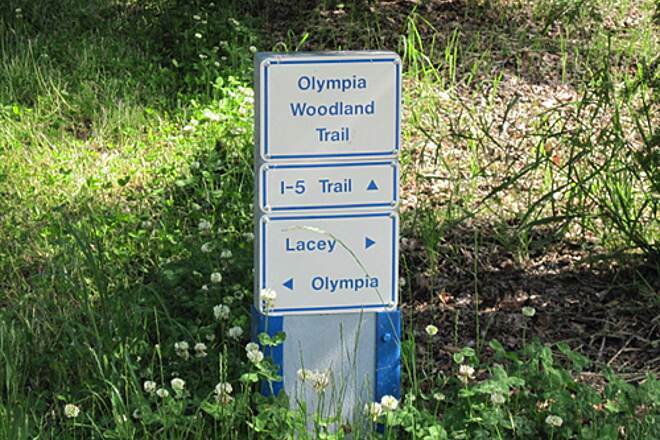 A sample of the signage on the Oly side. 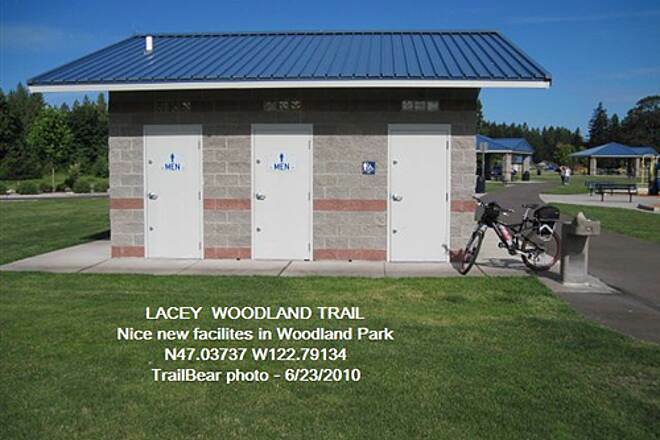 Would that all the trailheads were this nice. 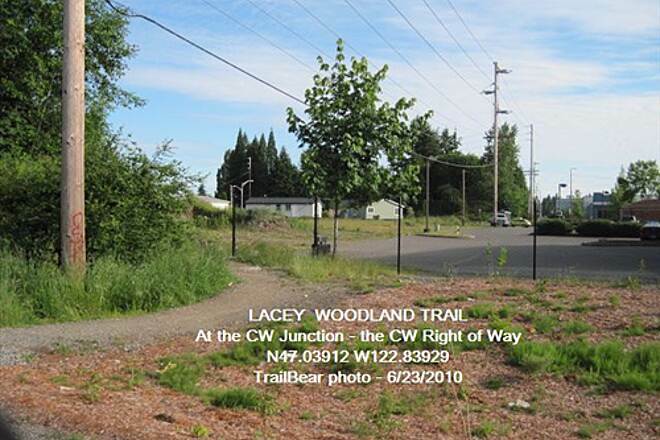 The Chehalis Western right of way under power lines. 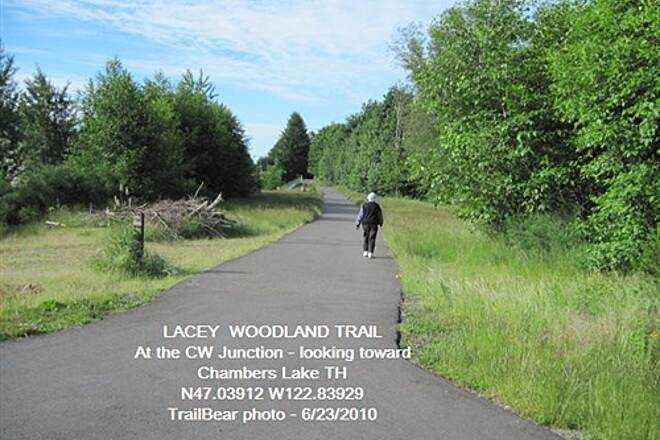 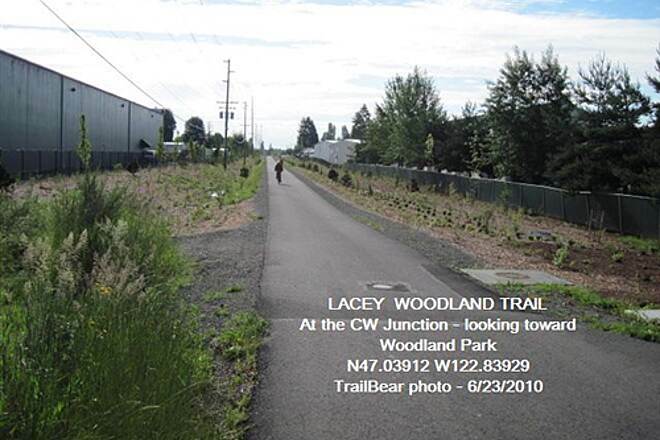 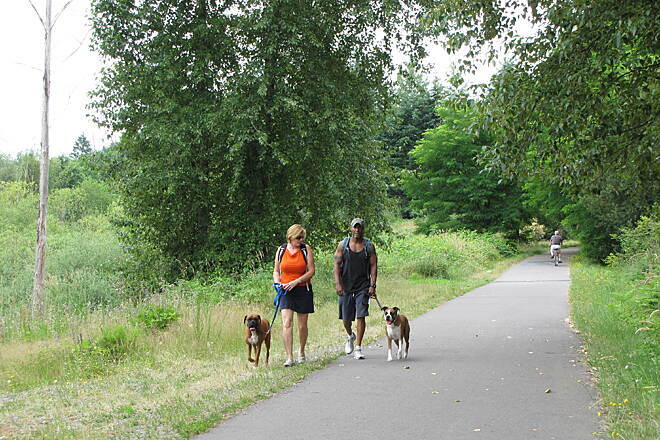 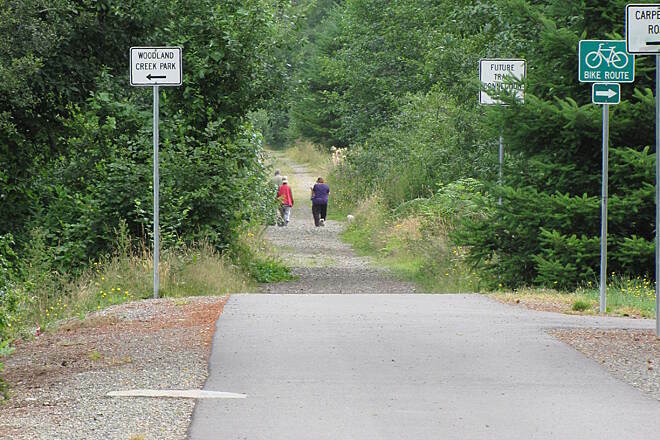 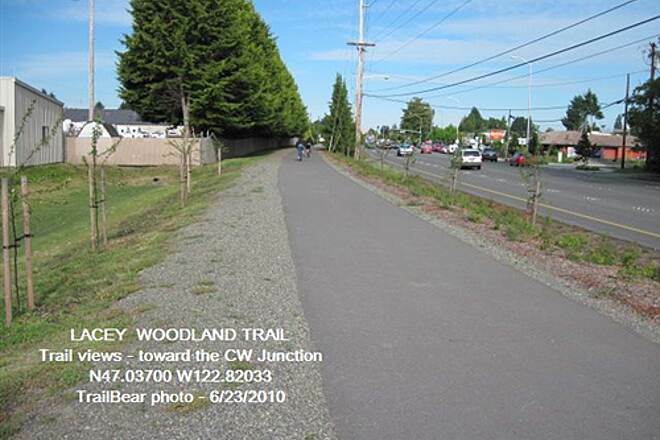 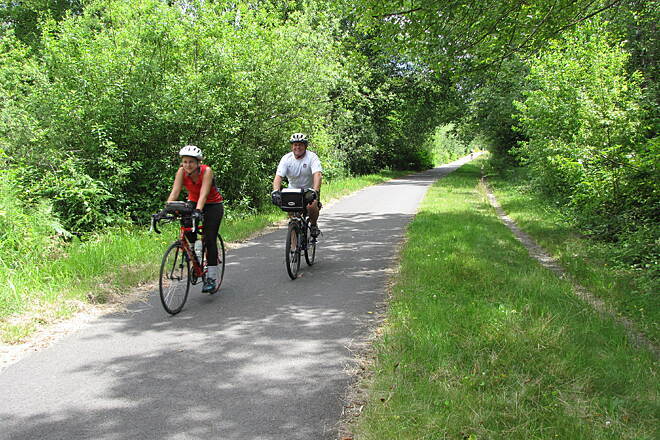 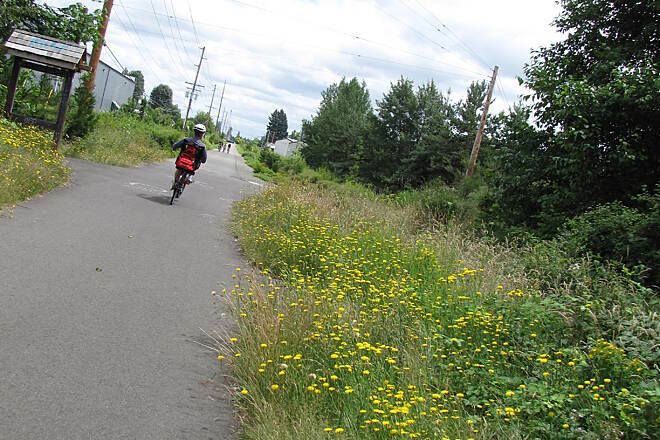 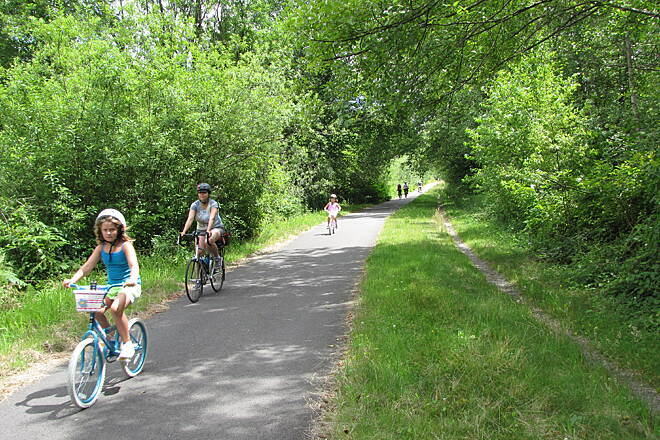 Where the Chehalis Western and Woodland Trails meet.